During its meeting at the 2015 Pan American Conference, the Executive Council of the International Federation of Horseracing Authorities (IFHA) re-elected for a term of three years incumbent Chairman Louis Romanet and current Vice-Chairmen Winfried Engelbrecht-Bresges (Asia), Jim Gagliano (Americas), and Brian Kavanagh (Europe). The term will encompass October 2015 through October 2018. Implement a global anti-doping policy through the certification of labs, harmonization of drug control, and out-of-competition testing. The foundations of such a policy have already been built with Article 6 of the IABRW extensively reorganized and 5 laboratories across all regions selected for initial performance capability assessment and certification. Advance measures to protect the welfare and safety of horse and rider while working with industry stakeholders to understand the current situation in individual countries and regions. Realize greater uniformity in the race-day rules of IFHA members in order to support the development of an international fan base for racing, reduce the risk of controversy, and foster simulcasting and commingling arrangements which improve the revenues of the sport. This will build on the major progress already achieved in connection with the “protest” rule. Apply rules and regulations that ease movement of horses to facilitate international competition while allowing for disease control. The 5-year Collaboration Agreement with the OIE (World Animal Health Organization) and the partnership with the FEI in the International Horse Sports Confederation will be major vehicles for progressing these matters. Foster the development of robust legal protection of racing’s intellectual property rights against unauthorized use by wagering operators. The principles first articulated by the IFHA in Art.28 IABRW are now capable of being crystalised in a new statutory racing right and the IFHA will actively promote this and other legal protections of racing’s intellectual property rights. Develop and execute a robust communication strategy in conjunction with its members, focusing on promoting the best of global racing through traditional and new media. Continue to grow the federation’s partnership with Longines, building awareness of the Longines World’s Best Racehorse Rankings, the Longines World’s Best Jockey, and corresponding awards and ceremonies. Further employ quality control of graded and black-type races through the International Grading and Race Planning Advisory Committee and the regional pattern committees. When France Galop was created in May 1995, Romanet was appointed France Galop Director of Organisation and International Affairs. He later served as Director General from 1998 through December 2007, when he retired from that position. He has held the title of Chairman of the International Federation of Horseracing Authorities since its creation in 1994 and will start his eighth mandate of three years in October 2015. Mr Engelbrecht-Bresges has been Chief Executive Officer of The Hong Kong Jockey Club since February 2007. He is also the Chairman of the Asian Racing Federation (ARF), which comprises over 20 member racing jurisdictions in promoting horse racing within Asia. Engelbrecht-Bresges is also a member of the Advisory Board of Aachen-Laurensberger Rennverein e.V., organiser of the World Equestrian Festival, CHIO Aachen. Engelbrecht-Bresges joined the Club in 1998 as Director of Racing and was appointed Executive Director, Racing, in 2000, at which time his portfolio was extended to include responsibility for the Property Department. During this period he played a significant role in uplifting the quality and profile of Hong Kong horse racing to world-class standards. Prior to joining the Club, Engelbrecht-Bresges spent six years as CEO of the governing body of German horse racing and breeding, whose members include the representatives of racecourses, the Trainers and Jockeys Association and the German Breeders and Owners Association. 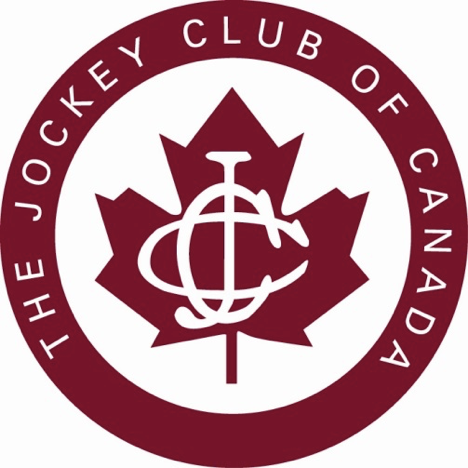 Jim Gagliano became President and Chief Operating Officer of The Jockey Club, the breed registry for all Thoroughbred horses in North America, on January 1, 2010. He had served as Executive Vice President and Chief Administrative Officer for The Jockey Club since June 2005. Before that, Gagliano served as Executive Vice President and General Manager of Greenwood Racing Inc. and worked in various roles during a 10-year stint with the New Jersey Sports and Exposition Authority. In January 2013, he was elected to the American Horse Council board of trustees. Brian Kavanagh has been Chief Executive of Horse Racing Ireland (HRI) which is the governing authority for racing in that country with responsibility for its development promotion and administration. Horse Racing Ireland also owns four racecourses, owns and operates Tote Ireland and the bloodstock promotion company Irish Thoroughbred Marketing. Brian has also served as Chairman of the European and Mediterranean Horseracing Federation since 2011 and Chairman of the European Pattern Race Committee since 2005. Prior to taking on the role in HRI, Kavanagh was Chief Executive of the Irish Turf Club for two years and Manager of The Curragh Racecourse and Training Centre for five years. Previously he was employed as Financial Controller of the Irish Turf Club from 1985 to 1989. Kavanagh also spent four years working as an accountant for KPMG, after graduating with a Bachelor of Commerce (B.Com. ), Accounting and Finance and a Diploma in Professional Accountancy from University College Dublin.